I have three 09 locos, but only one of them has a driver. I am not ready for driverless vehicles, so something had to be done. These two figures are by Monty’s Models from Dart Castings. 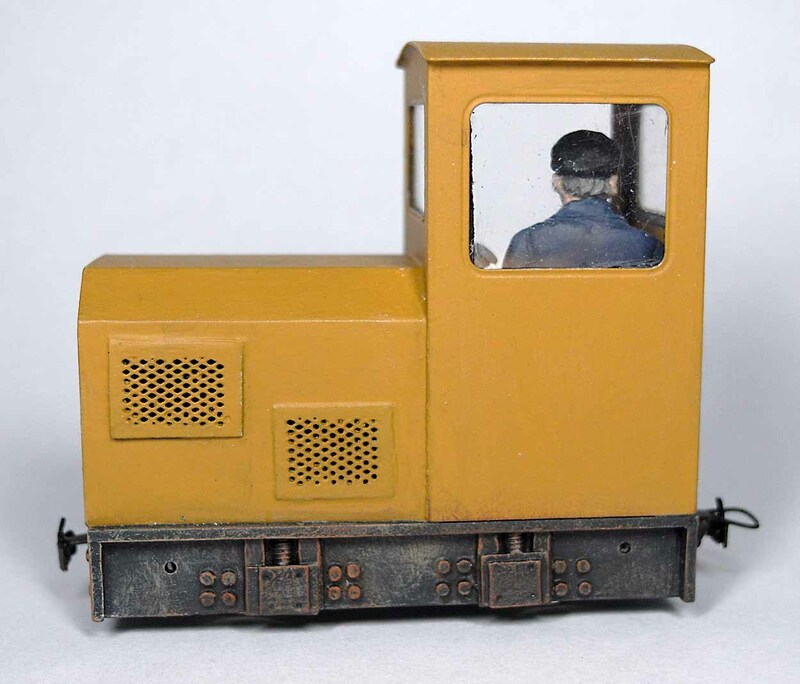 On the left is MGV11 Seated Workman and on the right MGV10 Seated Diesel Driver. Both figures have at least one moveable arm which was very useful because I was able to position them as I wanted. 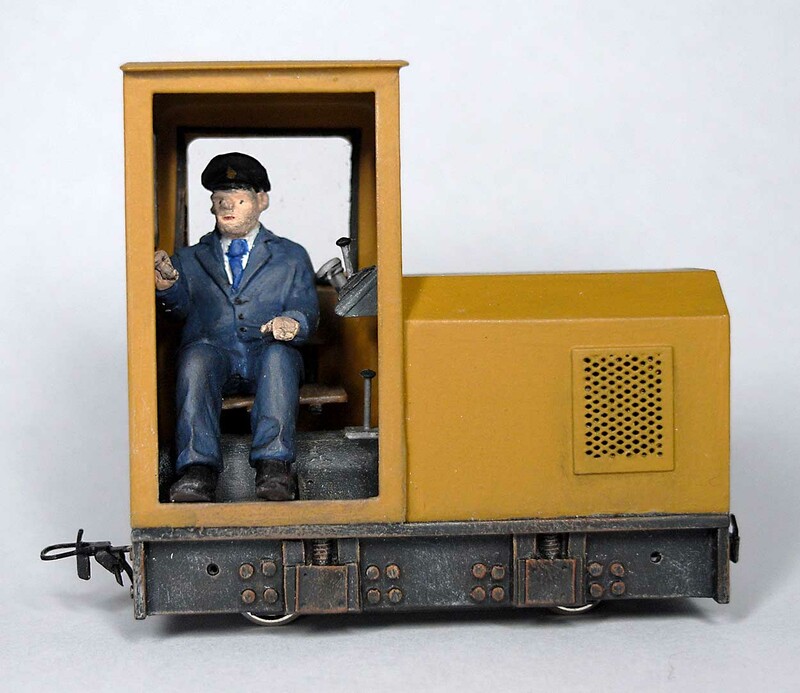 The seated workman normally has a mug in his hand. I cut it off with a scalpel and smoothed the hand with wet and dry paper. 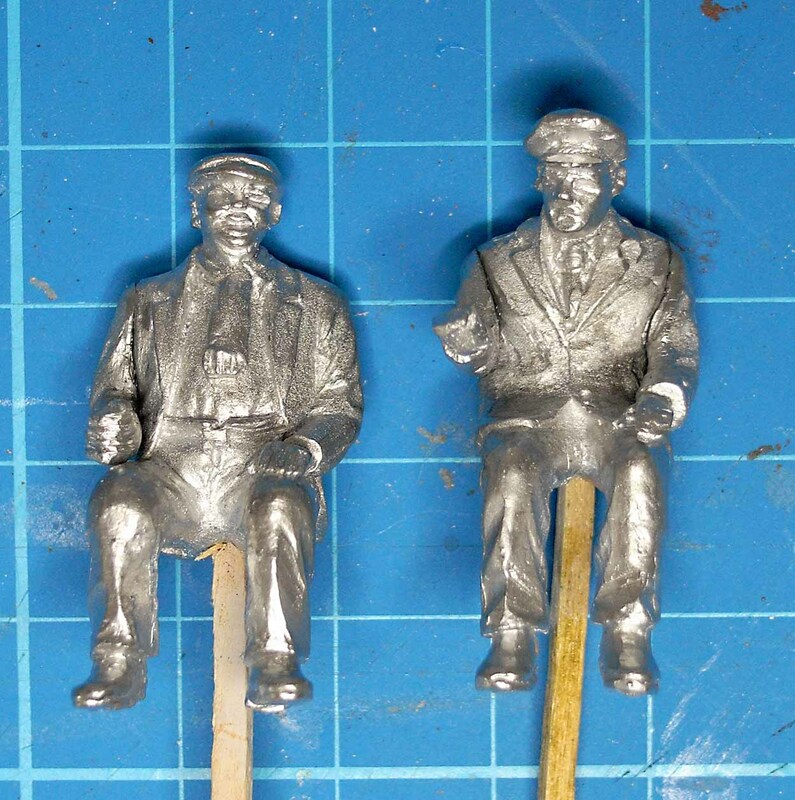 The photo above shows the figures with the arms attached and mounted on matchsticks to make it easier to paint them. Here are the painted figures. I must admit I do enjoy painting figures. I got stuck in and forgot to photograph them until I’d finished. 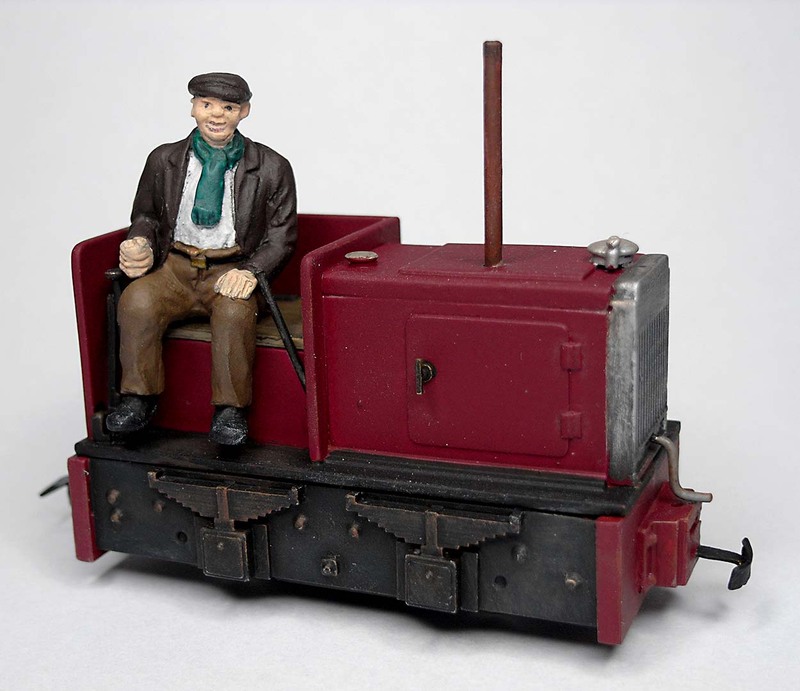 I mounted the ‘seated workman’ on the red loco. I am pleased with the drivers, I think they have added the ‘finishing touch’ to these two locos.